Where were you in 1984? Maybe you hadn’t even attempted your first tentative steps to becoming an athlete. 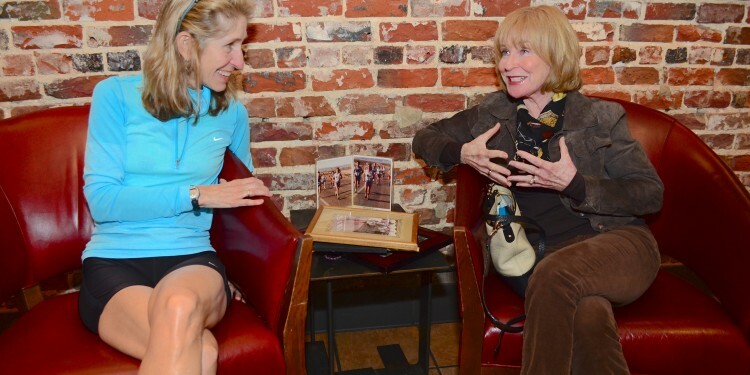 Two Jacksonville women, Patt Sher and Lanier Drew, remember exactly where they were: participating in the historic 1984 Women’s Marathon Olympic Trials, along with elite female runners, such as Joan Benoit Samuelson and Julie Brown. Why historic? After all, 1984 isn’t really that long ago. The fact is, although women had fought and won official recognition to participate in the Boston Marathon (1972) and the NY Marathon (1976), it wasn’t until the Olympic Summer Games of 1984 in Los Angeles that women were finally allowed to compete in the marathon event. Although neither Patt nor Lanier expected to qualify for the women’s Olympic team in 1984, to qualify for the trials was a win for women’s racing in itself. Due to a broken toe that she sustained at the trials, Lanier was unable to finish and had to drop out. That afforded her the opportunity to be at the finish line to watch Joan Benoit, Julie Brown and Julie Isphording cross the finish line of this game-changing event. In 1988 Patt and Lanier returned to compete in the women’s Olympic marathon trials held in Pittsburg. Margaret Groos, Nancy Ditz and Cathy O’Brien progressed on to Seoul Korea to represent the women. As a high school and college athlete in swimming and basketball, Lanier got into running to comply with her coach’s requirement that the team run laps. Lanier’s marathon training included 60-mile weeks under Coach Jay Birmingham, a nationally-known distance running icon. Prior to the ’88 trials, a poor, cash-strapped law school student, Lanier, recalls during the Jacksonville Marathon, as she was getting close to the finish line another woman runner alerted her, “Patt’s coming!”. Lanier watched the $350 purse slip from her grasp as Patt shot past her to win for the women. She is reminded daily of that defeat, as she still passes the original finish line on Prudential Drive every day on her way into her office. Patt, on the other hand, did not start out as a runner, or even an athlete. Like many women, she started running after the birth of her first child as a way to get back in shape. She was good at it; the longer the distance, the better. Her training consisted of running with male running companions during her lunch hour and after work, and competing in races on weekends. In preparation for the ’84 trials her weekly mileage averaged 80 – 90 miles. Always on the look-out for good places to “run long” (who isn’t! ), the then-under-construction Butler Blvd was one of the more unusual routes she ran to get in miles with no traffic! In the 70’s and 80’s choices in women’s athletic apparel and shoes were very limited and did not have the built-in support and protection found in today’s technologically-advanced products. The injury that plagued women runners most commonly was shin splints, an injury Patt experienced. She described treatment to include wearing a mesh compression-type sock and taping up the shins over the mesh with athletic tape. While some local orthopedists advised to just quit running so much, Patt and others found doctors who also ran and would work with them on recovering so they could return to running. One of the more controversial treatments for injuries at the time was the use of DMSO, an anti-inflammatory compound common in horse liniment. Today road race events in Jacksonville often consist of over 50% women participants, making it hard to believe that in the mid- to late-70’s there were not many women runners on the local scene to compete with. Patt and Lanier ran with the boys, who gave them the competition they needed to improve their speed. Prior to the 1984 Trials Patt and Lanier both competed in the Boston Marathon. The first time for Patt was in 1978 and in 1980 for Lanier. The qualifying standards for women were much simpler and more difficult. Today’s qualifying standards are segmented by age group with the fastest qualifying time for women in age group 18 – 34, where the standard is 3:35 or better to qualify. In the late ‘70’s all women had to run a 3:20 or better to qualify. Men over 40 had to hit 3:10 and men under 40 had to hit 2:50 or better to qualify. The battle for women to compete in distance running events in the Olympics goes back to 1928 when women were allowed to compete in distances no longer than 800 meters. But after six women collapsed during the 1928 event, in the 1932 Games the maximum distance was decreased to 200 meters and remained there until 1960. It required stealth and even sneakiness for women to run the Boston course prior to 1972. In 1966 Bobbi Gibb’s application to run Boston was denied on the basis that women were physiologically unfit to run the distance. So she hid in the bushes near the start of the Boston Marathon disguised in men’s clothing and jumped into the middle of the pack as an unregistered entrant. Once her fellow participants and spectators realized she was a woman, the crowd and the media cheered her on. Katherine Switzer did register to run Boston in 1967, but under the gender neutral name of K. V. Switzer. When race officials realized “he” was a “she”, it was only from the protection of her boyfriend that they were not able to physically remove her from the race. Finally in 1972 the Amateur Athletic Association revised the rules to officially sanction a women’s category in the Boston Marathon. The 1984 Women’s Olympic Trials remains the most memorable race for Patt, a retired nurse and attorney, and Lanier, a practicing attorney. In 1980 Lanier ran in the historic Athens Marathon in Greece along the original Marathon course, another memorable race. In terms of personal bests, Patt’s marathon PR was achieved at the 1988 Las Vegas Marathon with a time of 2:46:22; her 5k PR is 17:59. Lanier achieved her marathon PR of 2:47:21 at the Jacksonville Marathon in 1988 where it was raining and 37 degrees. Her 5k PR is 17:04. For comparison, the 2013 Jax Bank Marathon was won by Mariska Kramer with a time of 2:45:34. Although Patt no longer runs, she remains active through working out and walking. All 3 of her daughters were runners in high school and her youngest daughter has run as many Boston Marathons as Patt has. Lanier continues to run 3-4 days per week and mentors her nephew, an aspiring runner. It hasn’t been that long ago when Patt and Lanier blazed a course through barriers that many of us never knew existed. Twenty years later Jacksonville race courses look very different… with outfits of pink, purple and fluorescent green, and everything from running skirts to tutus to be seen. 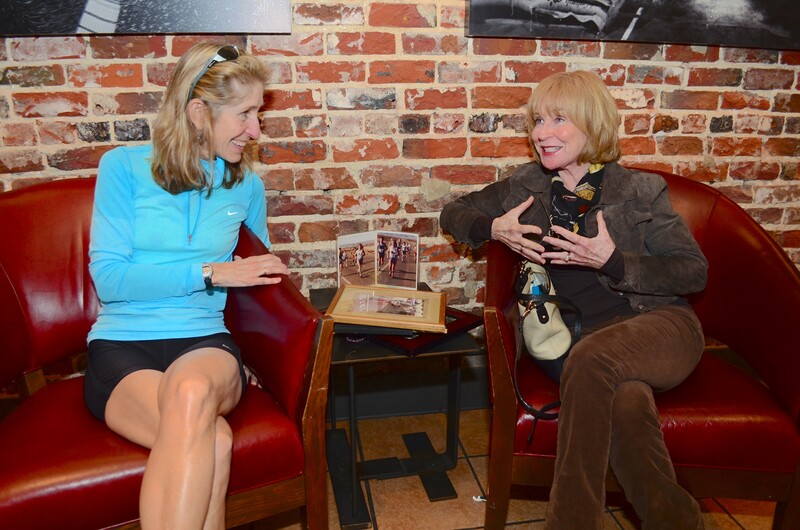 By just showing up, Patt and Lanier transformed the marathon course, now a glamour event for women of all abilities and age groups. More importantly, by pushing their bodies in male-dominated distance running, they helped women redefine their roles in society and demonstrate their physical capabilities.